Weeping willow is a lovely, graceful tree for a large scale garden. Many consider weeping trees romantic additions to their garden. Featuring silvery green foliage in summer and turning yellow in the fall, these are fast growing, large trees useful for screening or as a focal point in the garden. The weeping willow (Salix babylonica) is native to China. These trees are popular worldwide for their unusual weeping branches. 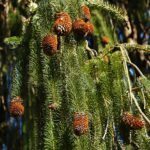 Utilized and admired in gardens and the subject of legends from ancient times, these trees grow throughout the Eastern United States, thriving from Michigan to Central Florida and west to Missouri. Some believe the ‘weeping’ refers to the way raindrops stream down the branches, dripping ‘tears’ from the tips. Therefore, this willow is a beloved tree in cemeteries and memorial gardens. When planting weeping willow trees, consider where to place them. They are happiest while basking in full sun with their feet slightly wet. Thus, a lakeside location is recommended. Be aware of their eventual size (60 x 60 feet height and spread potential, or 18 m.) while noting locations of underground pipes. Willow roots tend to seek out and clog pipes. These trees are easy to establish and tolerate soils from acidic to alkaline. Consequently, when planting weeping willow trees, they need only a bit of compost (in poor soil) and a sprinkling of all-purpose fertilizer. Consistent watering helps. Weeping willow care may increase as they grow, since they host many insects. Caterpillars and borers feast on the leaves and bark. Caring for a weeping willow includes monitoring the branches too. Keeping an eye on the tree is necessary because branches tend to crack and fail due to age, especially during ice and snow events. The foliage is prone to fungal diseases, and as a result, becomes spotted and unattractive. 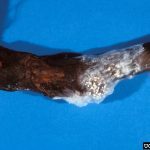 Insect and disease problems may require treatment to keep the tree looking its best. Salix babylonica is the variety of weeping willow most commonly planted. Alternatives to the weeping willow include the Niobe Golden willow (Salix alba tristis) and the Dwarf weeping willow (Salix caprea ‘Kilarnock’).